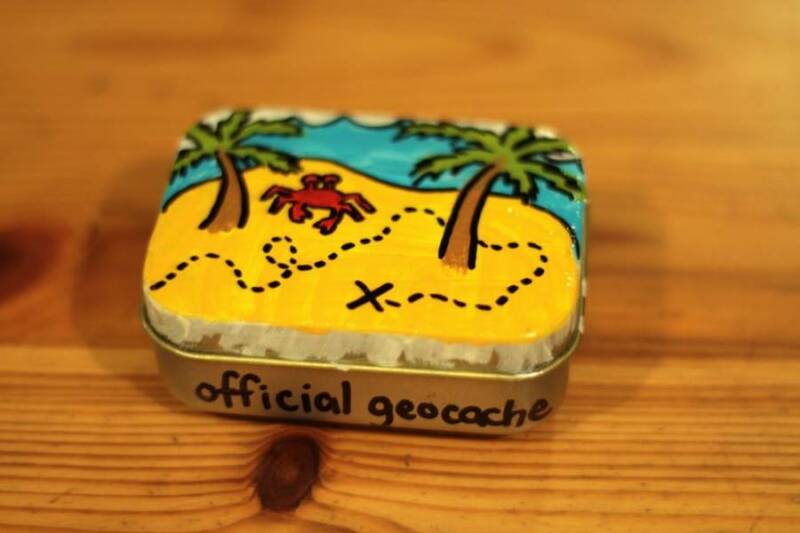 If you haven’t heard of Geocaching, you HAVE to check it out here. Essentially it’s like an ongoing treasure hunt that exists all over the world. Awesome people hide little treasure boxes all over the place (neighborhoods, forests, etc), and using an app on your Smart phone you can hunt for them! You can’t take them away with you, but you can enter your name in a log, and “trade” for some cute item inside the box (often things like pins, figurines, marbles, etc). I’ve been doing it for about a year now and there was one thing that I’ve noticed and it’s that I’ve never found one that was super exciting looking on the outside. Granted, many of them have to be camouflaged to prevent “Muggles” (those are regular people who don’t know about geocaching) from accidentally finding one, but still—you’d think I’d have found at least one super fancy one! 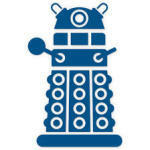 Anyway, with that in mind I decided to create my own geocache to add a bit of extra creativity to the geocaching world. Here it goes! I hot glued some magnets to the back of the tin, and then…. I painted it! I made it like a little treasure island. I even painted inside the box as an added surprise when they remove the contents! So this was my first geocache creation, and I have yet to figure out where to hide it. I’m thinking somewhere in the alley behind my house, since it will be easy to check the log book and make sure everything is ok every couple of weeks. I’ll update the blog when I’ve hidden it with what it’s called in case anyone lives in the LA area and want to search for it! I LOVE GEOCASHING! We just finished a six week expo on it and I’m HOOKED! We only went to find one and we were going to hide one too but we ran out of time 🙁 but we had some really good ideas! Im hoping for my grandpa to take me out to look when it’s warmer out but idk… I really love your box by the way!!! It would be so fun to find a cashe like that! Geocaching rocks! We’ve been doing it for years and love it. Great activity for the whole family. Me and my boyfriend went camping here in sweden and had never heard about geocahcing until he went in to the forest for do somrthing and came back with a box filled with info about geocaching and some treasures 🙂 I made a bracelet and out it in the box it was very funny!